John Ashdown-Hill was asked by Belgian colleagues to find a mtDNA sequence for Richard III and his siblings. John Ashdown-Hill located Joy Ibsen in Canada - 16th generation all-female-line descendant of Richard III's eldest sister, Anne of York. The BBC commissioned John Ashdown-Hill to write on the Fate of Richard III's Body for its website Local Legends. John concluded that the story that Richard III had been dug up and thrown into the river Soar was a myth. Joy Ibsen's (and Richard III's) mtDNA was sequenced for the first time. Encouraged by Philippa Langley, John Ashdown-Hill made a proposal to Time Team for the excavation of Richard III's grave site at the Leicester Greyfriars. The proposal included a photograph, showing where John thought the Greyfriars Church and Richard's body would be found. This photograph (later published in John's book The Last Days of Richard III) was a very accurate prediction. Sadly, after showing some interest in the project, Time Team decided that its usual time allocation of three days would probably be inadequate for the work. If Time Team had said yes, Richard III's body would have been found in 2006!!! John Ashdown-Hill published the DNA sequence for the first time in The Ricardian. John Ashdown-Hill did further research on the fate of Richard III's body. Philippa Langley founded the Looking for Richard Project. Encouraged by Philippa Langley, John wrote for the first time to ULAS (University of Leicester Archaeological Services), seeking to interest them in the project - but received no reply. 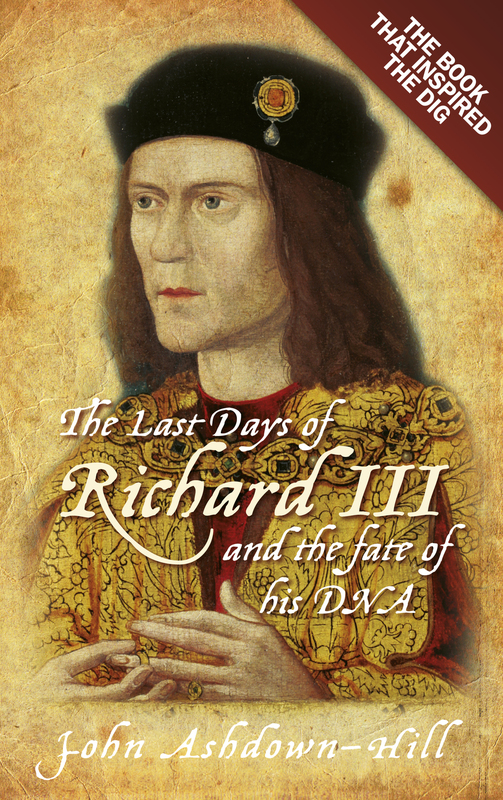 John Ashdown-Hill published the whole of his research relating to the fate of Richard III's body and his DNA in his book, The Last Days of Richard III. Thanks to the persistence of Philippa Langley, Leicester City Council and ULAS finally agreed to the project. Philippa Langley arranged for ground penetrating radar on the site. Principally funded by the Richard III Society and its members, excavation began, On the first day Richard III's body was found. John Ashdown-Hill carried the exhumed body to the vehicle which finally removed it from the Greyfriars site. For more information, please visit the Looking for Richard Project site.